If you want to clear your Windows command prompt (cmd window) lines of scroll back history, use the CLS (abbreviated for clear screen) command. 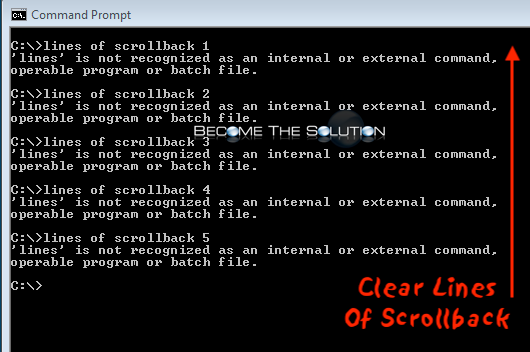 In the Windows command prompt, type the following command to clear all lines of scroll back. And instantly, your command prompt window will be clean again.